Gwinnett County, Ga -- At 76 years old, Beverly Williamson is still pursuing her passion. "I was going to retire after 55 years of teaching, but it gets in your blood and you just can't give it up," Williamson said of teaching ballet. Giving up just isn't her style -- not even when she faced the fight of her life at age 59. "I was sitting on top of the world, and I was teaching ballet and feeling good, but I began to notice a big pressure in my chest," she said. Her doctor discovered a 95 percent blockage in Williamson's coronary arteries and rushed her to the operating room for emergency surgery. "I had a massive heart attack on the table," Williamson said. The mother of six survived, but needed a new heart. Seven months later, she got the call that changed everything. "They said, 'We have the perfect little heart for you,' and I said, 'Let's rock and roll!" Little did she know that while she was about the receive the ultimate gift, another mom faced her worst nightmare. 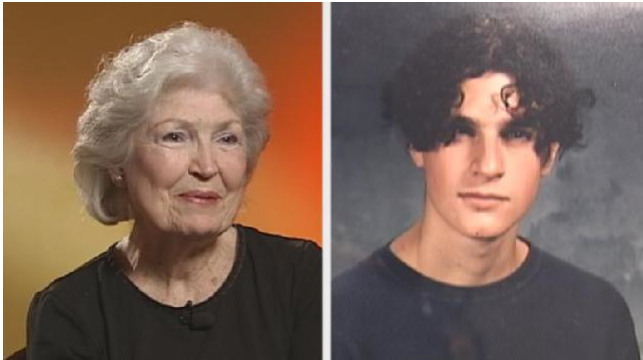 On Feb. 19, 1996, 16-year-old Clayton Sechrist lay in a hospital bed clinging to life. The new driver had crashed his car less than two miles from home. "He had a severe brain injury, and so he was taken to Gwinnett Medical Center where he was basically on life support," said Clayton's mother, Ann Sechrist. Ann and her husband Nelson stayed by their son's side until there was no hope left. Luckily for Williamson, Clayton and his mother had talked about organ donation when the teenager got his driver's license. "He said to me, 'I want to do this, don't I,' and I said, 'It's your choice, not mine,' and he made the choice." In the end, Clayton's choice helped 43 people. His heart was now Williamson's heart. "After his death, there wasn't a lot of bright skies. There just wasn't a lot of happy times. We were deeply in grief, and then we got the letter from Lifelink of Georgia that said how he had helped so many people, and that was the light at the end of the tunnel," Sechrist said. Several weeks later, she received another letter from a total stranger. "I had read about an accident in the newspaper and it made me think, could this be the young man? And I immediately shot a letter off to his mother," Williamson said. It wasn't until four years later that Williamson and Sechrist decided to meet. "Very, very emotional, needless to say," Sechrist said of their reunion. Since then, the two have become friends and even travel together, sharing Clayton's story for the Georgia Transplant Foundation and Lifelink of Georgia, the state's organ procurement group. "It's a healing process for Ann. I think it's given her some hope and has helped her in so many ways. And for me, I couldn't give back enough. I've been given the gift of life and I couldn't give back enough," Williamson said. Today, Clayton would be 31 years old. And although his mother wonders what kind of man he would be, she never second-guesses his decision to donate life. "I want to make sure people understand that donation truly works and it's not something to be scared of," Sechrist said. "To me it's the ultimate recycling plan." Williamson is living proof that donation works. "Sometimes I amaze myself at what I do," she said after doing the splits at the request of her ballet students. Almost 17 years later, Williamson and her heart are still going strong. "That little heart was dropped down in my chest. It hasn't missed a beat yet." And even with the possibility of another surgery this summer, Williamson still isn't ready to give up. "Have to see just how things work out, just have the faith. Can't complain can I?" More than 11,000 Georgians have received life-saving organ transplants to date. And right now, more than 3,000 are waiting for a transplant. For some, it will be too late. That's why the Georgia Transplant Foundation encourages families to talk about organ donation. And if you think it's right for you, don't wait -- click here to register.